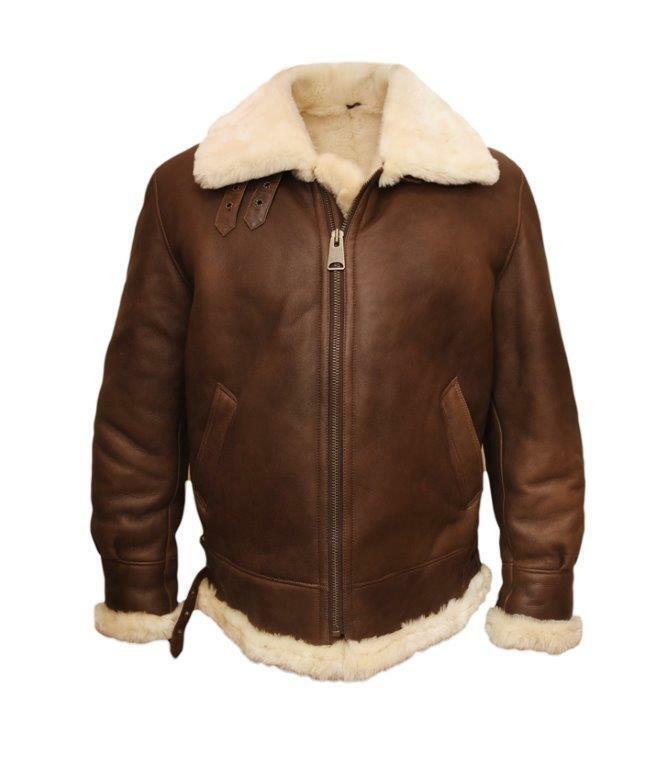 Our Bomber jacket is an exact replica of the original B-3 Bomber jacket that the American Air Force used in WWII. 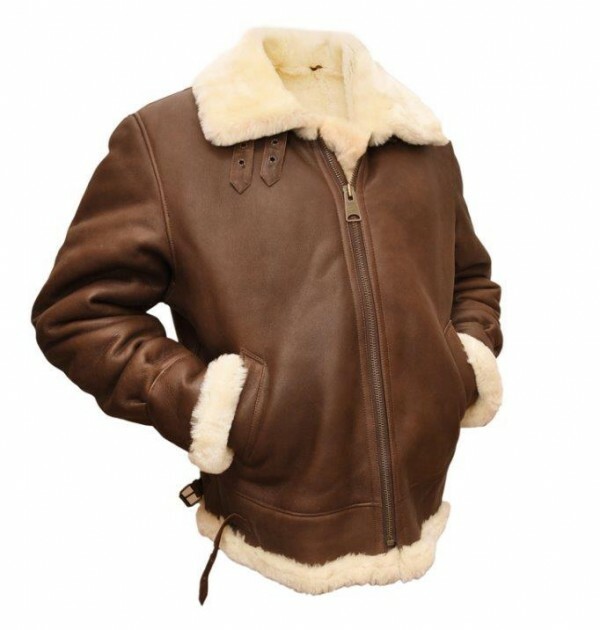 It is made of genuine double faced sheepskin and features soft Napa leather finish on the outside and plush genuine sheepskin on the inside. 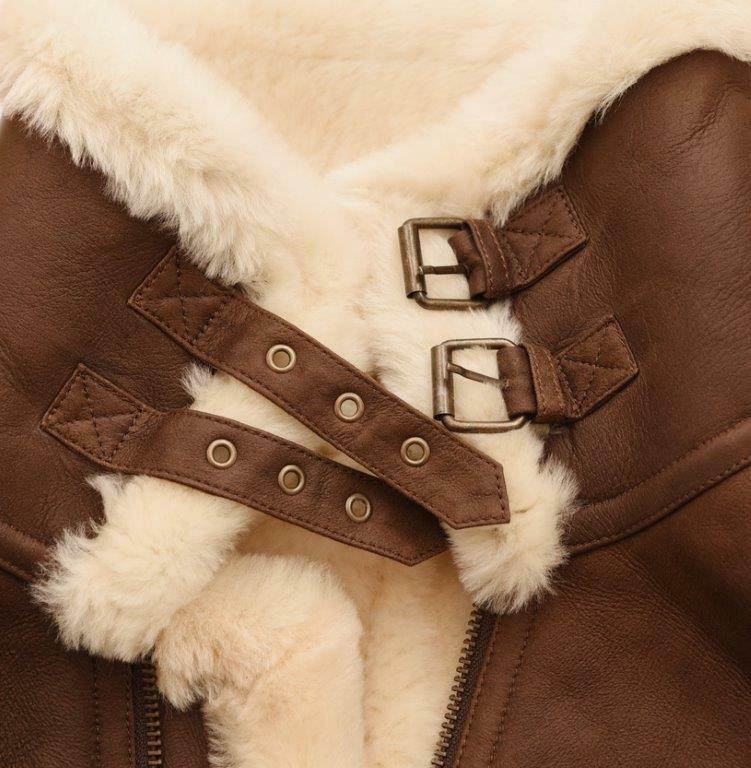 Two buckles on the collar, adjustable waist straps and sleeves make for a perfect fit, while exposed sheepskin cuffs and waistband and slash pockets add detail and a refined finish to the jacket. My favorite jacket of all time. Just like the original from WWII. It will last my lifetime, and will be handed down to 2 generations, at least. Very high quality. I got my shearling B-3 today at Costco in Calgary. Ralph Lauren makes one every year and they cost several thousand dollars. Mine is every bit as nice- classic and timeless. I own other shearling coats and I can discern quality skins. I feel relieved that I saw it at Costco. This coat feels like it was made for me. The fur feels like the softest pillow in the world. 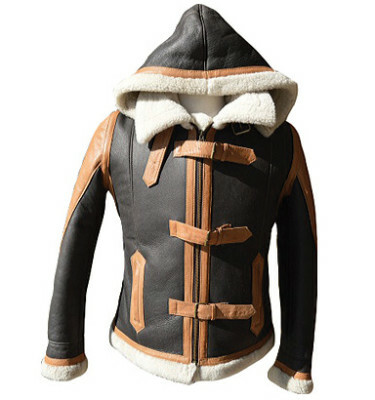 Great looking jacket. The jacket will tested this week with temp around -25C in Edmonton. 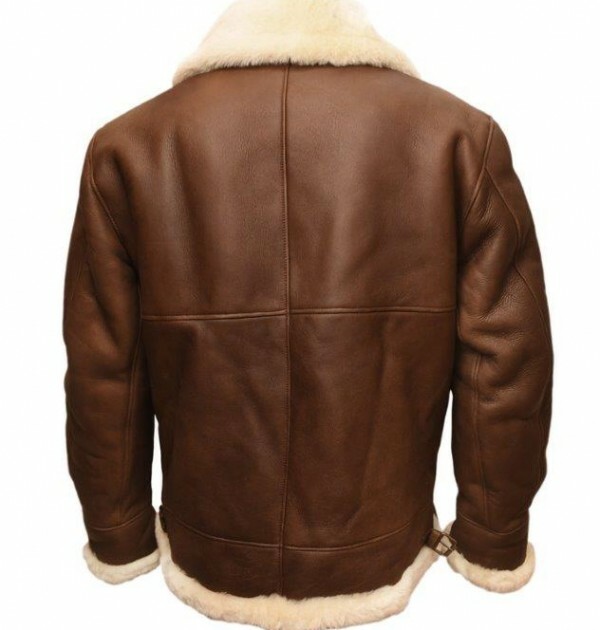 Dreamed of owning a shearling RAF style or B-3 style Bomber Jacket for many years, but they have always been out of my financial reach. So pleased to have found Ricardo BH during one of my many internet searches. Ricardo BH are a super Canadian company and extremely friendly to deal with. I received my jacket early January, a combined Christmas/Birthday present from my family. 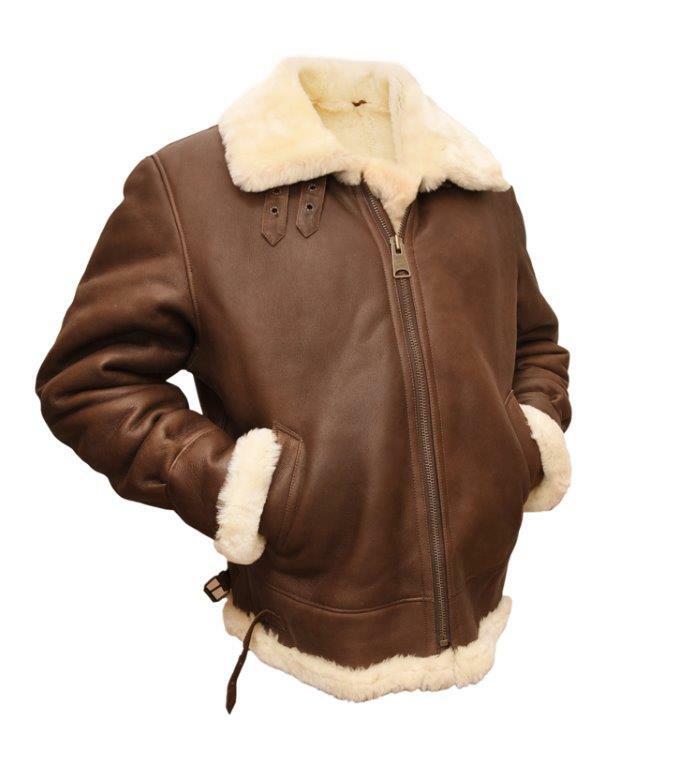 This is a beautiful jacket, excellent quality and workmanship, and very, very warm. My chest size is 40/41 inches, weigh 145 lbs, and am 5′ 6″ tall. I ordered a medium 38-40″ and it is a perfect fit. 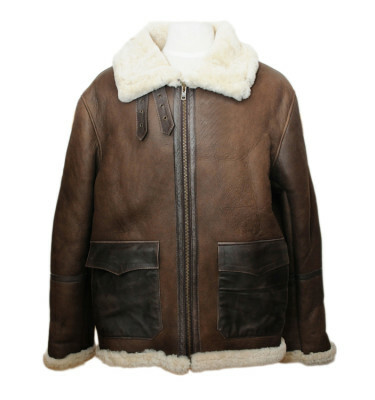 I highly recommend both Ricardo BH and their Shearling B-3 Bomber Jacket. Thank you Adrienne and Dale. Thank you Mr. Williams! We were thrilled to read this comment and appreciate the time you took to post it. 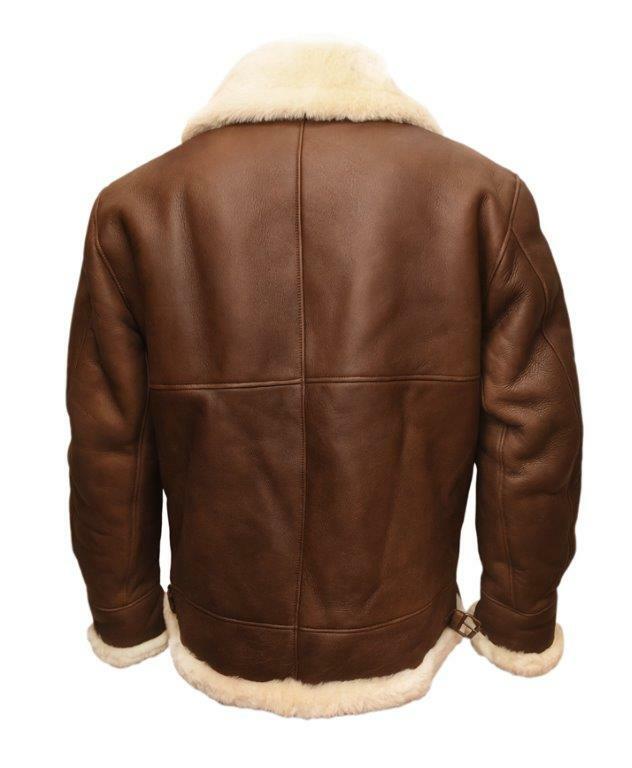 Our B-3 Bomber Jacket was a big seller this year. We are so pleased that you found the perfect fit and are happy with your purchase. It was our pleasure working with you and hope to see you back here soon. Thank you again for your feedback! 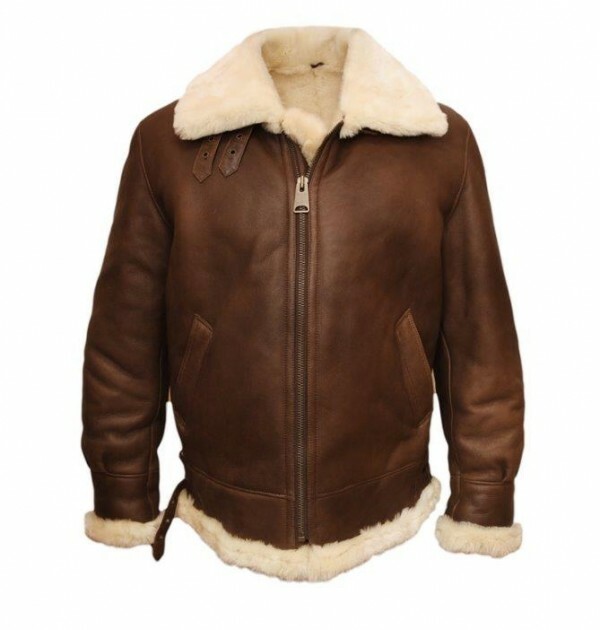 I recently purchased one of your fabulous B3 jackets & I love it…as do many others as I can’t seem to go anywhere without getting at least one compliment. I bought the B-3 jacket 5 years ago, I am very impressed with the look of the jacket after so many years extended use . I constantly get compliments .Everywhere I go people are stopping me and ask me from where i bought the jacket . The Ricardo B.H. 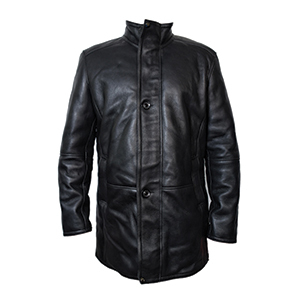 are the best quality products in the leather industry . GREAT QUALITY ,COMFORTABLE, AND ATTRACTIVE I AM VERY IMPRESSED. I ALSO GOT THE PILOTS JACKET I’M NOT SURE WHICH I LIKE BETTER. THE COMPANY HAS GREAT STAFF AND ARE VERY EASY TO DEAL WITH. One word : AWESOME . Keep me warm at -30C in Montreal today. Very good leather quality , good price ( Costco-Laval ) and very nice.